To draw on the play’s food motif, Made In Italy is not like a fine, full-bodied, well-aged Italian wine with deep, resonant notes. It’s more like a Prosecco — sweet, bubbly and not too complex, but enjoyable enough while it lasts. It may feel like there's an unfathomable distance between the mean streets of Philadelphia in Rocky or the sweaty Brooklyn discos of Saturday Night Fever and 1970s Jasper, Alta. 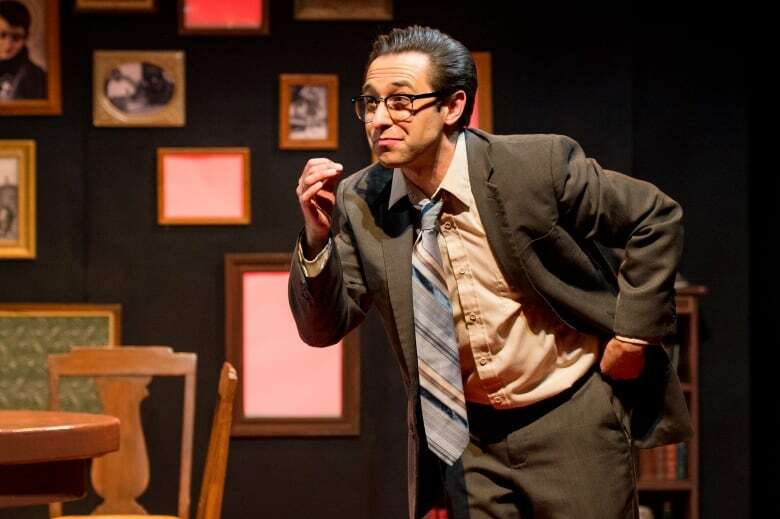 But Edmonton actor Farren Timoteo's one-man show Made In Italy manages to draw a connection between those worlds — and while it doesn't amount to theatre that'll leave you feverish with joy, it still lands some fine comedic punches and jabs at the heart. 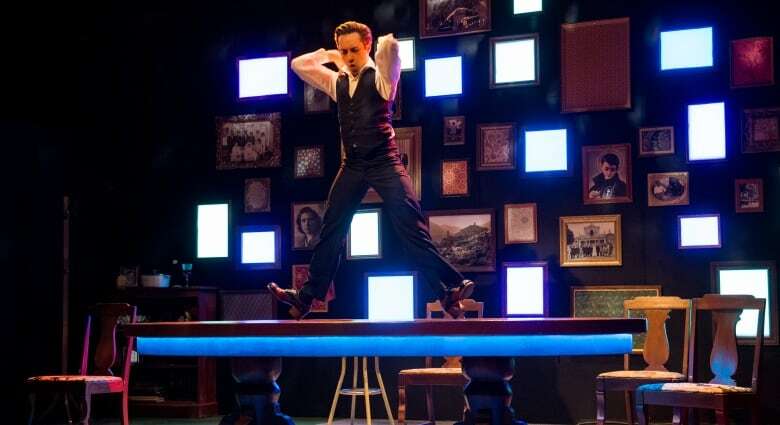 Loosely based on the life of Timoteo's father, the solo show (a production by Kamloops, B.C. 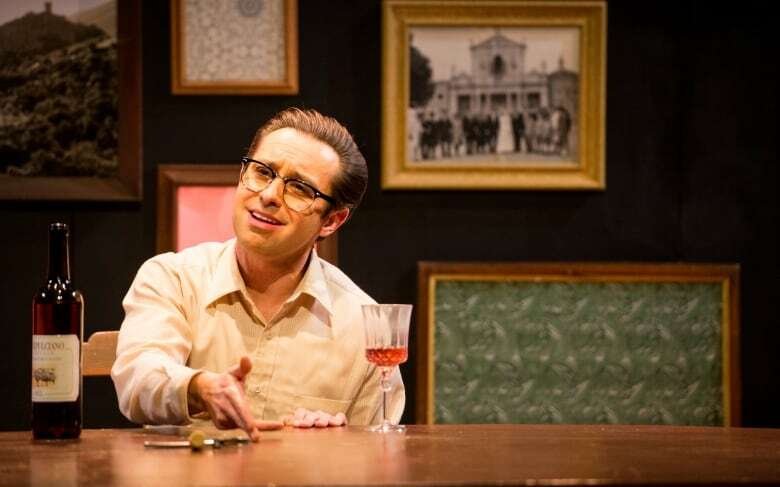 's Western Canada Theatre that's appearing at the Royal MTC Warehouse) tells the story of Franceso Mantini, a second-generation Italian-Canadian, and his coming-of-age in Alberta. Francesco's father, Salvatore, has come to Canada from Italy to give his family a better life. As played by Timoteo in a charming turn, he's also our narrator and guide to Italian culture — and to life's similarity to a multi-course meal. But life isn't so easy for Francesco, trying to fit in as the only Italian kid in rural Alberta — until, that is, he discovers inspiration in '70s flicks with Italian heroes like Rocky and Saturday Night Fever, and the fact that he can turn his golden singing voice into a musical career. But success, he decides, relies on adopting the persona of Frank Martin and giving up his Italian culture along with the Italian name. If it sounds like a story you might've heard before, you're right. Made In Italy doesn't score big points for originality. The details may be different here, but the struggles of second-generation kids to fit in are well documented, and Made In Italy feels like it's telling a familiar tale. That means it's relatable, but also fairly predictable — and it's not much of a spoiler to say a feel-good ending calculated to tug at the heartstrings imparts the value of staying true to who you are. What sells it, though, is Timoteo's animated performance — he's a talented comedian and there's some marvellous clowning here. When, for example, Rocky inspires young Francesco to dedicate himself to working out, the montage that follows is equal parts Sylvester Stallone and Mr. Bean. The "getting ready for the disco" sequence that opens the second act is another beautifully timed bit of physical comedy. 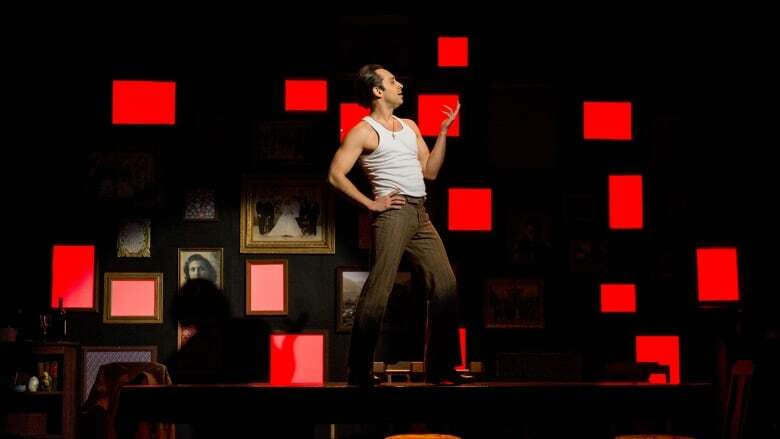 Timoteo plays a range of characters who sometimes veer into caricature, but many are very funny — especially an Italian cousin who draws laughs with every perfectly timed twitch of his hips as he gives a teenage Francesco a fashion makeover. On top of that, Timoteo is a talented dancer. Choreographer Laura Krewski gives him some sharp moves to show off, and yes, you will leave with Stayin' Alive stuck in your head. 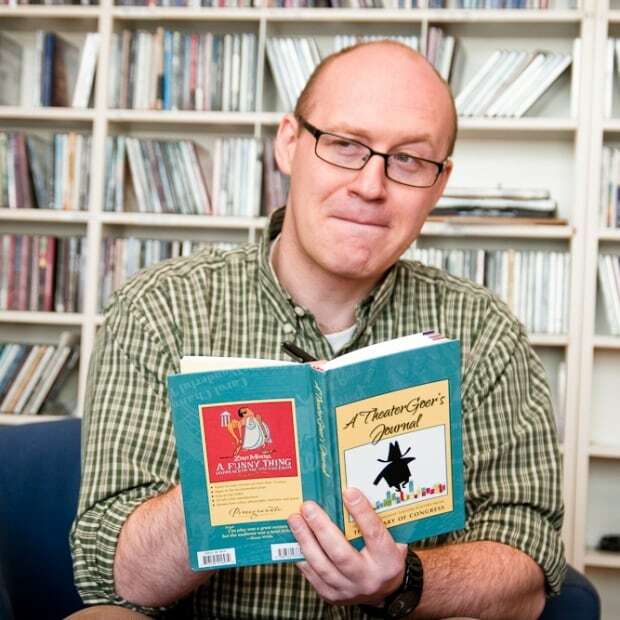 He also gets to show off a beautiful singing voice in the musical numbers sprinkled throughout director Daryl Cloran's smartly paced 130-minute (with intermission) production. To draw on the play's food motif, Made In Italy is not like a fine, full-bodied, well-aged Italian wine with deep, resonant notes. It's more like a Prosecco — sweet, bubbly, and not too complex, but enjoyable enough while it lasts. Made In Italy runs at the Royal Manitoba Theatre Centre's Tom Hendry Warehouse until March 16. You have a couple more chances to take advantage of a rare opportunity to see Bertolt Brecht and Kurt Weill's classic 1928 musical The Threepenny Opera — and having seen the show last weekend, I'd recommend it. Presented by a cast that integrates performers with and without physical disabilities, this production from Sick + Twisted Theatre and AA Battery Theatre gives a new layer to Brecht's story of London's seedy underclass. It's not for the faint of heart — Threepenny is surprisingly gritty and edgy for a 90-year-old play — but it's given a production that's dark, funny and disturbing in all the right ways. 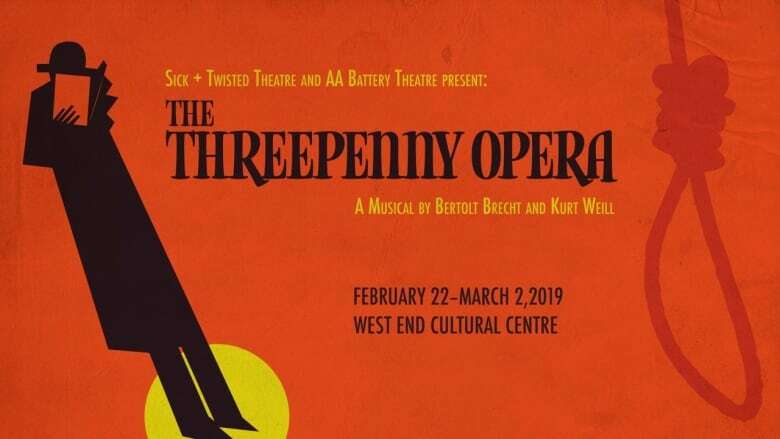 Sick + Twisted and AA Battery's The Threepenny Opera runs at the West End Cultural Centre until March 2.